I’ve looked at a lot of wilderness first aid kits and, for the most part, I am really disappointed by them. There is almost always something missing from the first aid kit or they are really impractical (like being too big to carry). This is scary when you think that people are relying on these first aid kits to help them survive in an emergency wilderness situation! So I decided to make a guide about how to build the perfect wilderness first aid kit, complete with everything you really need to include. Let’s start with the first aid bag, because this is what will be holding everything and ensures contents stay safe. Here are the main qualities you should look for in a wilderness first aid bag. Imagine that you fall into a river and get a big gash in the process? What good are those bandages going to do you if they are all wet? It is incredibly important that your first aid bag is waterproof! Most quality first aid bags will be waterproof, but some are poorly made and will leaky around the zipper. The first aid bag should be made from a sturdy material so it won’t be easily torn or poked easily. This would allow water to get into the bag, and compromise the contents. A well-made and organized wilderness first aid kit for 4 people won’t need to be more than 6x8x1.5 inches. 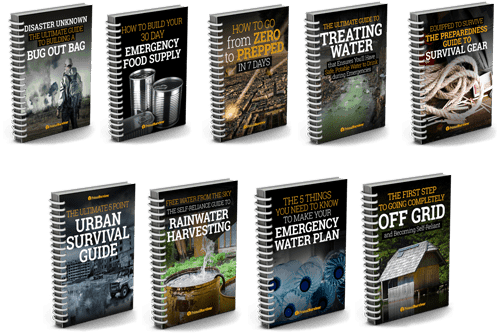 Save room in your Bug Out Bag for other crucial supplies! If someone in your team is bleeding out, you don’t have time to waste searching for first aid items! Make sure the first aid bag has lots of pockets and organizational dividers so you can easily find items. By trauma, we mean a major injury which could threaten your survival or prevent you from moving. Some examples of traumas include knife wounds, other large wounds, or burns. 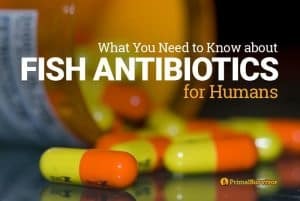 The focus here is to stop the bleeding and prevent infection. Trauma pads: these are large, sterile pads for dressing deep wounds. They often have a blood clotting agent on them to reduce blood loss. Wound stapler or suture kit: you shouldn’t try to suture wounds unless you are a medical professional; but in a Bug Out survival situation, you might not have any choice. A wound stapler is easier to use for untrained people than a suture kit. Blood clotting agent: Known as “haemostatic agents,” these will help blood clot and reduce blood loss. You can buy some OTC. Tourniquet: A bandana will do, and it also doubles as a sling. Note only use a bandana as a last resort: Multiple studies tell us that improvised tourniquets are often ineffective at best, and can actually increase blood loss due to preventing venous blood return and essentially forcing even more blood out of the wound (not to mention causing massive damage to the underlying tissue due to being too narrow). Thanks to Justin Krull for the info. Burn salve: Burns are a common wilderness injury, so you won’t want to forget this item. For small burns, petroleum jelly can be applied but you will want an antiseptic burn salve for larger burns. Nitrile gloves: You will need many pairs of these! Use a new pair of gloves each time you treat a wound. 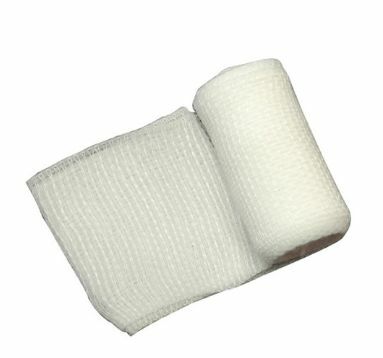 Non-adhesive sterile wound dressings: These are lighter than the gauze/dressing which is used to control bleeding and clean wounds. They are applied to the wound. They are breathable to encourage healing, but prevent dirt from getting through to the wound. Skin glue: This can be used to seal two sides of a wound together. It is good for small, deep cuts. Moleskin: For protecting blisters. Pack lots of this because blisters will severely limit your mobility! * If you aren’t already familiar with them, I highly recommend you read this article about the different types of dressings and bandages! Triangle bandages: Think of triangle bandages as sterile bandanas. They can be used for absorbing blood, for dressing head wounds, for making an arm sling, or dressing large wounds. More on uses for a triangular bandage. Bendable Foam-Coated Splint: You can often fashion a splint out of found items, but this isn’t always the case – such as when you need a C splint for your thumb. Choose a small splint made from bendable aluminum and coated with foam. You will also need a flashlight for performing first aid in the dark, and scissors or a knife for removing clothing from around a wound. It is also helpful to have some sunscreen, lip ointment, and extra ziplock bags handy – but these are things which you would keep in your survival backpack and not in with the first aid items. Most importantly, make sure you know how to use all of the first aid items! Take a first aid course, and include a first aid manual in your kit just in case. 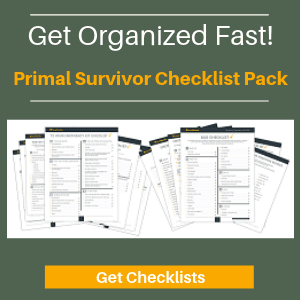 Are you prepared to survive a disaster? You can leave out the potassium iodide. It’s actually probably better that you do. It’s a thyroid blocker meant for incidents of CONTAMINATION, not exposure. Even then it should only be used for a couple of days, tops. 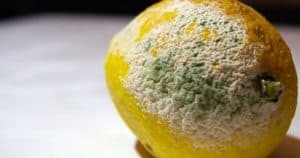 The difference between contamination and exposure is the difference between being exposed to radiation (like an X-ray) or coming into contact with radioactive particulate matter (fallout; i.e. radioactive dust, dirt, etc.). Folks are more likely to hurt themselves with potassium iodide taken improperly than they are likely to do themselves good, except in very rare circumstances. If you’re in the fallout area first priority is GET OUT. Second priority is DECONTAMINATE; shower, wash, change clothes, abandon old clothes. If you’re not in the fallout area first priority is make sure it stays that way. If, should there be a nuclear emergency, you’re in the fallout area, you survive, you decontaminate, you secure your water, shelter, family, food and security, then by all means take a moment of leisure to worry about your thyroid. I’ll bet that 3 weeks later though, you’ll be wondering “What the Hell was I thinking?”. “Nitrate” ? or “Nitrile” gloves? The nitrate gloves I’ve seen inhibit dexterity to a severe degree. Should be nitrile – thanks for spotting the typo. Have fixed that. Nitrile gloves are now the standard exam glove used in hospitals and on ambulances across the world. They are basically an alternative to latex gloves, to which many people are allergic. They are extremely dexterous. Also, a bandana is not a substitute for a purpose built tourniquet. Multiple studies tell us that improvised tourniquets are often ineffective at best, and can actually increase blood loss due to preventing venous blood return and essentially forcing even more blood out of the wound (not to mention causing massive damage to the underlying tissue due to being too narrow). Hello. First time on this site and I really appreciate the information. I happened to find your site while trying to find a first aid supply list for military type IFAKs. I’m Red Cross certified in CPR & First Aid plus prior military service and BSA, so I’ve had a good deal of first aid training in my life. I always carry an IFAK when hunting, hiking, camping etc. but came to realize that our current kits are the basic cut, scrape, & insect bite types. We have nothing for serious trauma or bleeding events. Where would I find these supplies the cheapest and who makes a good tourniquet that won’t break the bank? I don’t want to bet my life or someone else’s on a cheap, Chinese tourniquet or worse yet, a bandana & a stick! Keep up the good work! P.S: I noticed that CPR barriers seem to be missing from the lists. I’ve seen “trauma paks” on various websites and American Red Cross sells them too. Looks like they have most of the bleeding control supplies except for a tourniquet and an Israeli style pressure bandage. ARC sells them for $25 but I’ve seen them for less. Are these a worth while kit or are they for the “mall ninja” crowd? I would assume they are ok if ARC sells them. 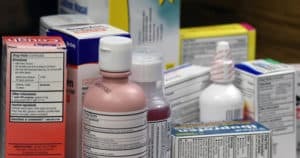 Comment: I’ve found that Dollar Tree has the basic cut & scrape type of first aid supplies and some stores carry a small first aid kit in a plastic box for a buck. You can also find sicssors, tweezers etc. there as well. Those items are excellent to have in your kits and are more likely to be needed than the major trauma supplies. I prefer to buy first aid supplies individually and then build my own kit. That way I can customize the weight/items/etc. (weight is really important to me for wilderness/backpacking first aid kits since I’m already lugging around so much gear!). The ARC kits seem good. Definitely be cautious about buying cheap made-in-China kits though. I bought a first aid kit from China for the bag. The bag was great, but the actual first aid items that came with it were complete crap, such as adhesive bandages not sticking. I wouldn’t count on any coagulants on the bandages to actually do their job either. I’m not sure how the Dollar Store stuff holds up. I’d bet some items are great whereas others are crap. 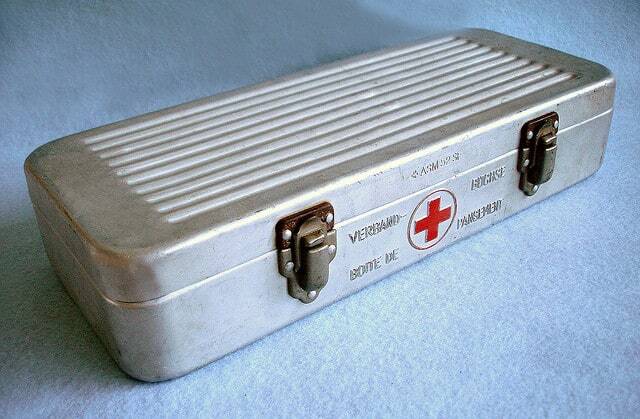 Bear in mind that a wilderness first aid kit is going to be different than the one you have at home. I’m mostly worried about burns (small children around fires) and sprains.